Markham Infiniti | Blog | Markham Infiniti Reviews the 2017 Q60 3.0T! Markham Infiniti Reviews the 2017 Q60 3.0T! The 2017 Infiniti Q60 3.0T is a stylish sedan that magnifies your image of refinement and prestige! It features a 3L V6 twin-turbo engine with 24 valves capable of generating 300 horsepower. Promising a mileage of 11.2 L/100km on city roads and 8.5 L/100km on highways, the 2017 Infiniti Q60 3.0T can generate 295 lb-ft of torque at up to 5,200 rpm. The premium sedan has 7-speed automatic transmission, electrically controlled with adaptive shift control. There is an algorithm facilitating adaptability sensing the driving style and automatic shifts. Drivers also have autonomy with the manual shift option. 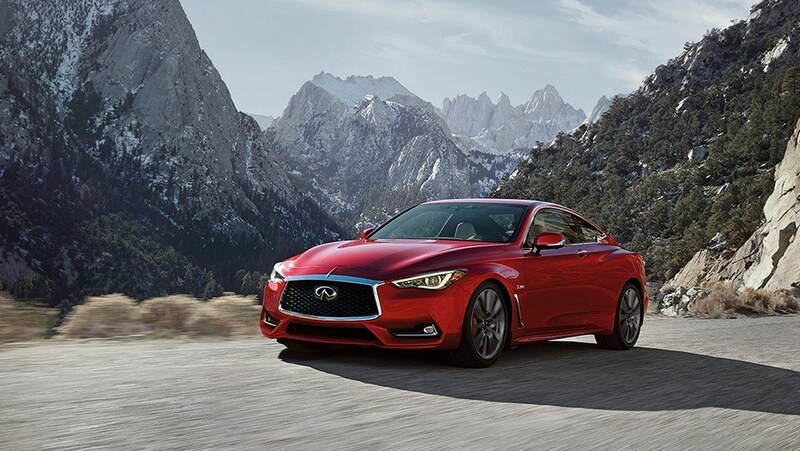 The 2017 Q60 3.0T has standard, snow, sport and personal or eco modes, hill start assist, active trace control, dynamic digital suspension in the front and rear and ventilated disc brakes. The all wheel drive has LED brake lights in the rear with a stoplight mounted high in the center, smart airflow management system assuring zero-lift in the aerodynamics, ultraviolet rays resistive glass, power sliding moonroof with tinted glass and automated open and close, remote entry, powered windows, remote ignition and powered heated mirrors outside with LED indicators. View our inventory. The Q60 3.0T has flat blade intermittent windshield wipers in the front with speed sensors, there are dual exhaust finishers, carpeted floors, leather upholstery, aluminum trim inside with power adjustable driver’s seat ensuring lumbar support, dual occupant memory for mirrors, steering wheel and driver’s seat, all linked with the intelligent key. It comes equipped with heated seats, Bose speakers with subwoofer, USB ports, Sirius XM, audio controls mounted on the steering wheel, lane guidance, Bluetooth and a trip computer. The 2017 Infiniti Q60 3.0T has electroluminescent gauges, HomeLink, dual zone temperature control with micro filter, air vents and heater ducts in the rear, trunk lockout and valet key, welcome lighting, sun visors, overhead map lights, rear reading lights, cup and bottle holders for the front and rear seats. 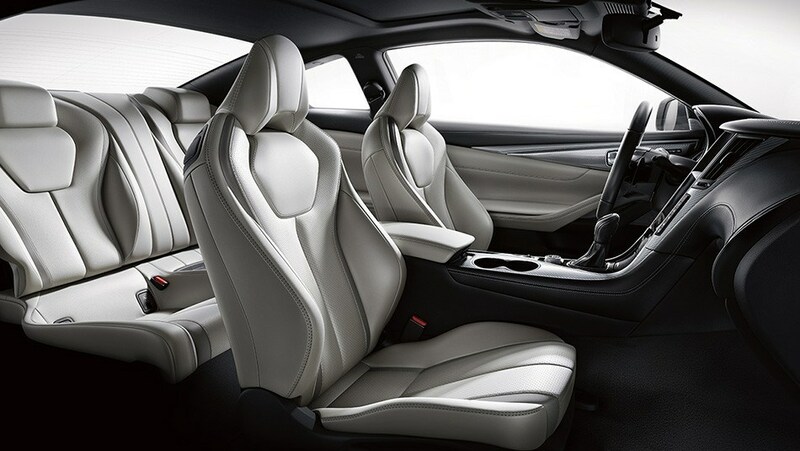 The 2017 Q60 3.0T has dual stage supplemental airbags in the front that are connected with occupant sensors, there are supplemental airbags for side impact for front passenger and driver, and roof-mounted airbags for side impact with head protection for rear seat occupants. 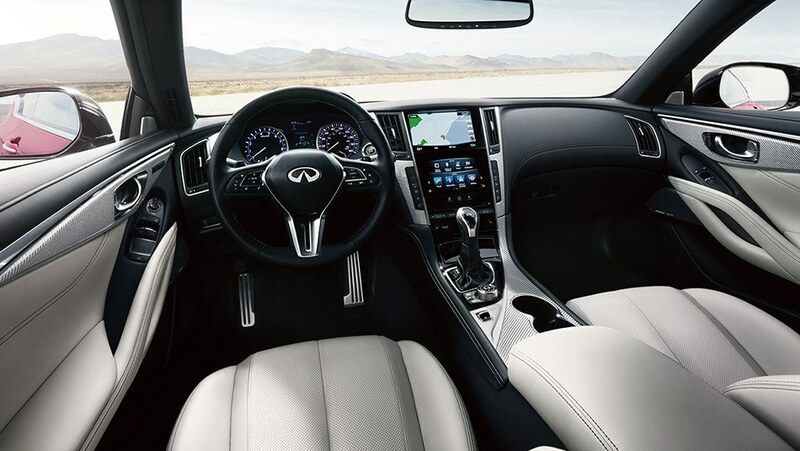 All standard active safety features are present in the Q60 3.0T, including electronic brake force distribution, brake assist, anti-lock braking system, traction control and dynamic control, tire pressure monitoring system, pre-crash seat belts for front seats and immobilizer. It is a spacious sedan with ample cargo space. If you’re in the Markham or Toronto, we invite you to book a test drive at Markham Infiniti today! 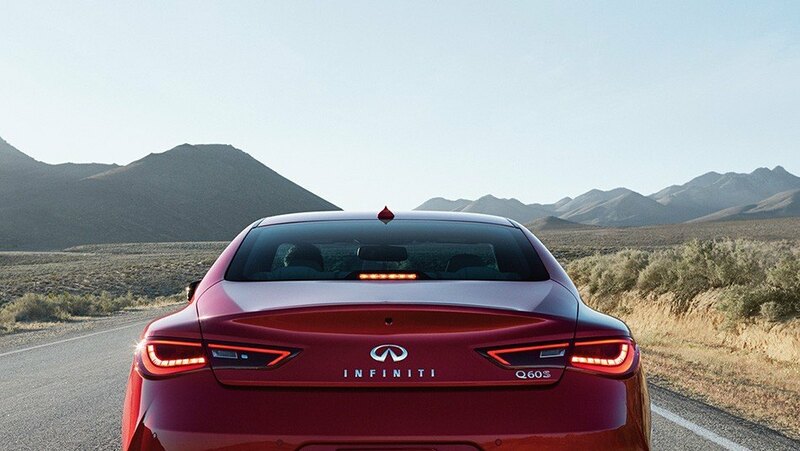 View the Q60 3.0T on Infiniti Canada.